Inspired by a conversation on Twitter – see below – here’s my recent letter to the Editor of The Times. I haven’t had a reply just yet, which is fine, but as I’m a paying subscriber, I hope he won’t object to me posting it on my blog. 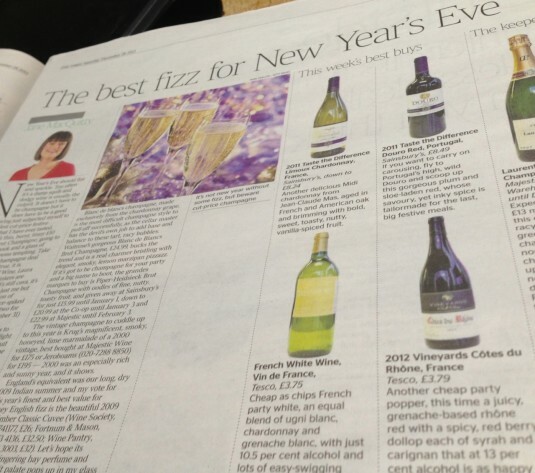 Jane MacQuitty recommended two French wines for New Year’s Eve parties in ’This week’s best buys’ on 28 December. The retail price of the white is just £3.75 and the red a few pence more. Given that 70% is tax (£2 a bottle UK duty, plus 20% VAT), I was intrigued to see what you get for £1.12 for the wine, the bottle, packaging, the ferrying about and retailer’s profit. I wanted to like them, really I did. 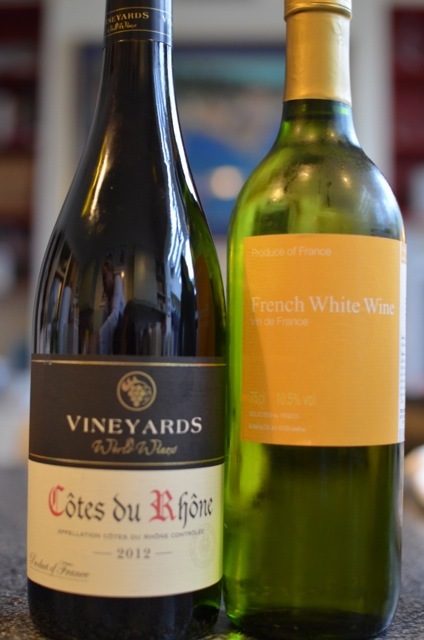 There is a place for the cheapest supermarket wines but it’s hard to imagine how any Times reader, with even the vaguest interest in wine, enjoyed these two bottles on New Year’s Eve. January seems a good time to drink less and put the savings towards bottles which cost £5 or more, after discount. A handy guide is that £6 is the price above which the product itself accounts for more than the tax (£6 = £3 wine and margin, £2 UK duty, £1 VAT). Come on, Jane, let’s raise the bar in 2014 – just a little. The letter came about following a tweet I sent while in a coffee shop in London. Here is part of the conversation on Twitter that ensued (scroll through the box to see it, and ‘load more’ to read on). The tweets are ‘live’ so you can click on any of the names to see who the tweeters are, reply on Twitter, and so on. If you click on the title ‘The Times and cheap wine’, it will open this custom timeline in Twitter. I also felt compelled to taste the wines and, in fairness, the purchase wasn’t the greatest outlay of our Christmas break. Supermarket buyers can’t be expected to pull rabbits out of hats at this price but I’m amazed that anyone would recommend these, not least as “Best buys” for New Year’s Eve. The trouble is, it’s another step back in persuading the public to trade up – to something they’d actually enjoy. Feel free to comment below or do share on Twitter or Facebook. Thanks. Well said Gavin. Do you think she meant to recommend these as frozen drive defrosters and just popped them on the wrong page?